Surgical scalpels are small and extremely sharp bladed instrument exclusively used for surgeries in humans as well as other organisms. The type of scalpel, size, shape, and manner of usage may differ depending on the purpose and type of surgical operations carried out. Surgical scalpels may be single-use disposable or re-usable.Surgical scalpels consist of two parts: a blade and a handle. The handles are often reusable, with the blades being replaceable. In medical applications, each blade is only used once even if needed for just for a single, small cut. Re-usable scalpels can have permanently attached blades that can be sharpened as per need. In some re-usable scalpels, the blades can be removed and new single use ones can be fitted.Disposable scalpels usually have a plastic handle with an extensible blades; like their name suggests, they can be used only once, after which the entire instrument is discarded. The blades of surgical scalpels are manufactured with a fitment size corresponding to that of the handles so that they fit on only one size handle.Scalpel blades are usually individually packed in sterile pouches but are also sold in a non-sterile form.Scalpel blades are usually made of hardened and tempered steel, stainless steel, or high carbon steel; in addition, titanium, ceramic, diamond and even obsidian knives might also be used. As these devices are a crucial component of most surgical activities carried out by healthcare professionals and surgeons, a distinct surgical scalpel market exists from a global perspective. While gripping a surgical scalpel, there are two types of grips: the palmar grips and the pencil grip. The former is called the dinner knife grip, and is used best for initial incisions and larger cuts. In contrast, the pencil grip is used for more accurate cuts with smaller blades. The global surgical scalpel market is expected to witness a significant growth in the next few years. The increasing number of surgical procedures and innovations in the healthcare industry are projected to enhance the growth of the overall market in the near future. 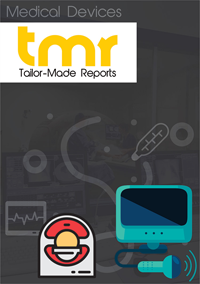 The research study offers a detailed study, highlighting the major aspects that are likely to determine the growth of surgical scalpel market in the coming years. In addition to this, the key market trends, growth prospects, and the challenges being faced by the market players have been discussed at length in the near future. The increasing use of surgical scalpel, owing to the rising incidences of neurological and cardiovascular diseases is projected to encourage the growth of the global surgical scalpel market in the coming years. In addition to this, the technological developments and the growing demand for minimally invasive procedures are estimated to generate potential growth opportunities for the market players. Furthermore, the growing demand for surgical tools due to the rising number of surgical procedures and the increasing occurrences of several chronic diseases are projected to accelerate the growth of the global surgical scalpel market in the next few years. A tremendous rise in the geriatric population and the increasing occurrence of several chronic diseases are projected to enhance market growth. The increasing demand for reconstructive and plastic surgery and the rising healthcare expenditure are likely to drive the market. On the flip side, the lack of proper reimbursement policies for surgical equipment, especially in emerging economies is predicted to curtail the growth of the global surgical scalpel market throughout the forecast period. Nonetheless, the increasing awareness among the healthcare sector is estimated to accelerate the growth of the market. The global market for surgical scalpel has been classified on the basis of geography into the Middle East and Africa, North America, Latin America, Europe, and Asia Pacific. In the last few years, North America held a massive share of the global market and is projected to continue with its dominance throughout the forecast period. The high growth of this region can be attributed to the growing demand for surgery in labor patients. The rapid development of the healthcare industry and the technological advancements in this field are some of the key factors that are likely to accelerate the growth of the North America market in the coming years. The global market for surgical scalpel is expected to witness a high level of competition throughout the forecast period. Some of the key players operating in the surgical scalpel market across the globe are Shinva, Swann-Morton, KAI Group, Hill-Rom, Feather, Mani, Huaiyin Medical, SteriLance, Surgical Specialties, Hu-Friedy, Ailee, Geister, Shanghai Surgical, and BD. The rising number of players entering the global market and the rising focus on the development of new product are estimated to accelerate the growth of the overall market in the next few years. In addition to this, the rising number of mergers and acquisitions is predicted to offer generate growth opportunities in the near future.